We sell Alaska by Land and by Sea. Take your pick or combine the two. We offer many ways to vacation in Alaska. Everybody initially thinks of cruise ships where you sail the inside passage. Once you begin to examine the destination and the transportation, the Alaska Railroad also makes a lot of sense. We also have escorted tours where you can go further afield by train and motorcoach. We have even sold custom fly/drive packages where clients go to various National Parks in Alaska while staying at nearby hotels or lodges. Most of what we sell is combination land/sea for 11-14 days or Alaska Railroad. 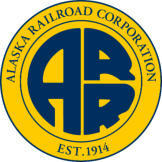 Alaska Railroad We sell a lot of Alaska Railroad. 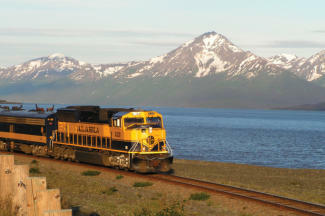 Both with and without cruises as some of our clients just want to fly up and ride the trains across Alaska. We offer custom packages through the Alaska Railroad including lodges/hotels, sightseeing and all the same tours and amenities offered by the cruise lines. Alaska Railroad has a Gold Service (most trains) which includes dome cars and a meal and drinks in a dining car with each train ride. They also offer Adventure Class with regular train cars and rolling wilderness cafe’s that serve light fare. 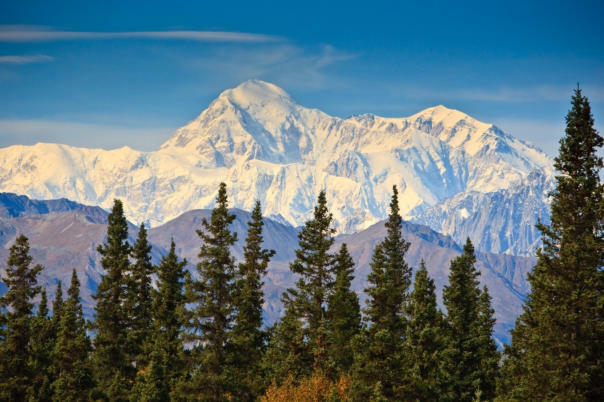 Go where you want for as many days as you want between Fairbanks, Denali, Talkeetna, Seward (Kenai Fjords National Pakr) even Whittier and Portage. They also have pre-set multi day adventure package itineraries. 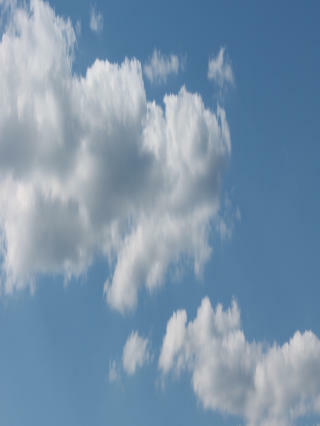 We are familiar with Alaska Railroad, so we can get you a custom quote with airfare. 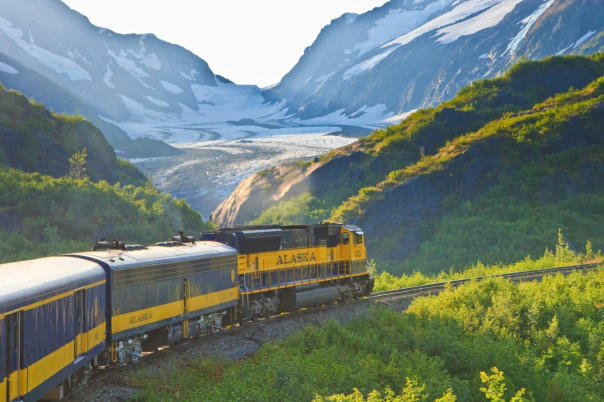 We do combine Alaska Railroad with cruise vacations that can be booked separately. I would classify the Alaska Railroad packages as “hosted” as they are not fully escorted but the train people work with hotels and attractions so somebody is always looking for you along the way. 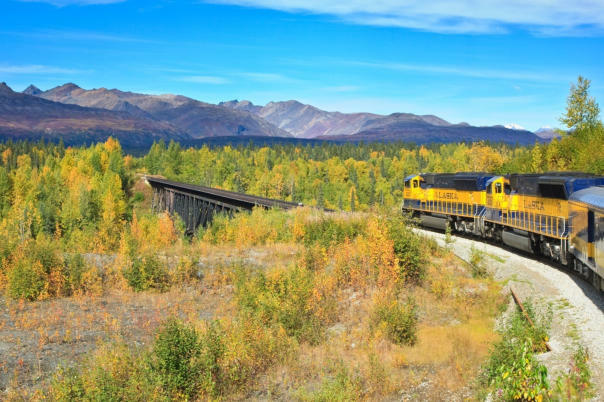 Our tip about Alaska Railroad: You will see more Alaska as the train rolls along through the countryside at a comfortable speed. Some lines sail into Glacier Bay and some don’t. Holland America puts US Park Service naturalists on the ship when they enter Glacier Bay. Only some ships go to Skagway to experience the White Pass and Yukon Railroad. Pictured here is the Holland America Oosterdam. Pictures courtesy of Alaska Railroad Corp. Used by permission. We sell Alaska by Land & by Sea. Take your pick or combine the two. We offer many ways to vacation in Alaska. Everybody initially thinks of cruise ships where you sail the inside passage. Once you begin to examine the destination and the transportation, the Alaska Railroad also makes a lot of sense. We also have escorted tours where you can go further afield by train and motorcoach. We have even sold custom fly/drive packages where clients go to various National Parks in Alaska while staying at nearby hotels or lodges. Most of what we sell is combination land/sea for 11-14 days or Alaska Railroad.